When states pass laws that enable them to regulate prescription drug costs or mandate drug pricing transparency, the pharmaceutical industry always fires back with lawsuits claiming the states are violating federal law. In 2017, the industry sued every state that enacted drug cost containment legislation claiming they had violated myriad federal laws, including the Patent Act. Lawsuits against state governments are heard in federal courts only if there is a claimed violation of constitutional law. Without that claim, the lawsuit goes to a state court. Strategically, the industry does not want to litigate a legal challenge against a state in a state court. Therefore, the industry’s lawsuits generally claim a host of constitutional law violations, such as the Commerce Clause, Supremacy Clause, freedom of speech, the Takings Clause, as well as the Patent Act. The brand-name drug industry believes it has a particular edge in these drug cost containment disputes based on patent law and the Constitution’s Supremacy Clause. It argues that federal patent law allows a patent-protected innovator to achieve unfettered profits through unfettered pricing. Any state that seeks to limit industry profits is allegedly violating federal patent rights, which triggers the Supremacy Clause. This clause claims that federal law is “supreme” and will always supersede state law. A new white paper, published by the National Academy for State Health Policy‘s Center for State Rx Drug Pricing, is the latest NASHP legal brief to explore why state rate-setting legislation, and other approaches such as importing drugs from Canada, does not violate federal law and can withstand these legal challenges. First, states have a strong interest in addressing the price of drug products and other patent-protected innovations that are critical to their residents’ quality of life. Second, there is the compelling issue of cost. States, as payers of heath care services, have a strong interest in managing spending on prescription drugs. State taxpayer dollars pay for prescription drugs used by state and local employees and their dependents, people housed by corrections, Medicaid beneficiaries, and state university system employees. As a result, state taxpayers may shoulder the prescription drug costs of 25 percent of their state’s population or more. When drug costs rise, states are hit hard on two fronts. States must pay more for drugs and they simultaneously lose tax revenue. Private sector employers and employees can exempt spending on health care premiums from their income. As a result, when insurance premiums rise because of escalating drug costs, those taxpayer exemptions increase and states lose tax revenue. Clearly, states have a strong interest in constraining costs on behalf of all state taxpayers. The NASHP white paper, States’ Rights: A Patent Law Analysis of NASHP Rate Setting Model Act, by legal experts at the Institute for Innovation Law at the University of California Hastings, explores what states can do to address the rising cost of pharmaceuticals without violating federal patent law. It points out that federal court decisions have already determined that states are well within their rights to regulate what they pay for health care products, such as beds, pillows, thermometers, and hip or knee replacements. 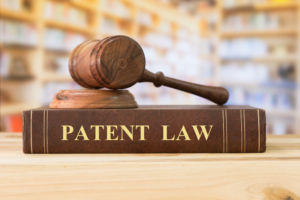 “Patents are implicated in all of these products, yet their existence does not defeat a state’s right to determine what it will buy and for how much,” the legal experts wrote. To read the white paper addressing patent law, click here. To participate in a webinar featuring the legal experts from the University of California Hastings College of the Law, scheduled for 2:30 to 3:30 p.m. (EST) Thursday, March 29, 2018, click here. This webinar is open to state officials only. Contact Jennifer Reck with any questions.